It just so happens that a little Cessna 150 I owned for a couple months in 1975 ended up very close to me in Madisonville, TN. It was my first plane, and I touched base with the owner about a month ago. Nice plane when I owned it, but know nothing of its last 40+ years of history. Obviously not Light Sport, but an option for those who might qualify for BasicMed. Re: Own a piece of aviation history! That plane is older than me .... it seems like it would be a money pit to maintain such old, certified plane. Warmi wrote: That plane is older than me .... it seems like it would be a money pit to maintain such old, certified plane. Not necessarily. If well maintained, should not be a major headache to keep up. But even if maintenance were higher, compare it to a new CTLSi, for example, at $162,000. The $140,000 price delta could pay for a LOT of maintenance and upgrades! 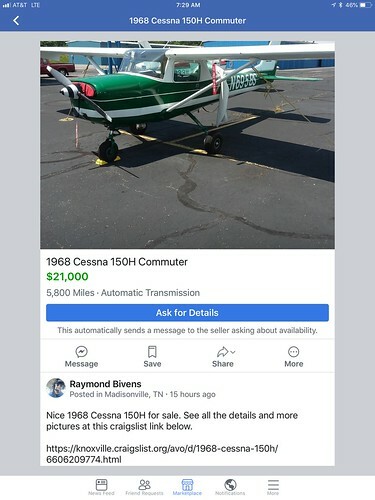 Perhaps, but both CTLS and your Sky Arrow for that matter , at least to me, are much more appealing in terms of comfort and features than an old Cessna - not 140k more , that’s for sure, but a lightly used LSA for about 100k with modern features is what I would consider a reasonable compromise .. I'm especially impressed by the automatic transmission. Did it have that when you owned it, Eddie, or was that an STCd mod? I was kinda hoping it had All Wheel Drive.... you know... for winter use up here in the North. drseti wrote: I'm especially impressed by the automatic transmission. Did it have that when you owned it, Eddie, or was that an STCd mod? I thought of it more as an unlimited slip air transmission! I would be interested if I qualified for Basic Med. 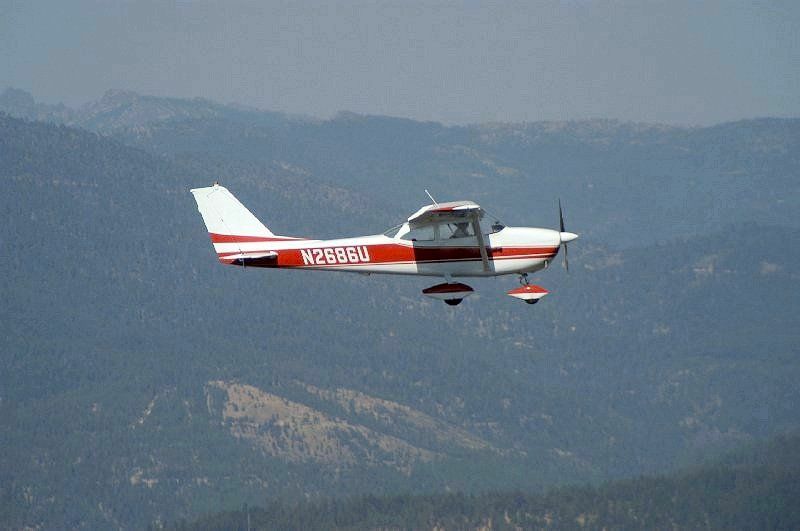 An older, well maintained, standard certificated aircraft that can be tied down outside would be preferable to an over-priced plastic airplane to me. Flying daytime VFR, that airplane can do anything a new $150,000 LSA can do and my iPad Mini 4 with iFly GPS can do anything (essentially) a $30,000 glass panel can do. I don't get the prejudice against older certified aircraft exhibited by some people here. I don’t get how some people like fish and chips and other pseudo-food when there are so much better options available ....does it matter to people who do like fish and chips ? ...not really. It is not prejudice , it is preference and it is really a personal thing . You are wrong. A well maintained airplane is not like an old car sitting on blocks in your backyard. Also, aerodynamics has not changed much since Orville and Wilbur. There are few, if any, advances in the newest LSA vs aircraft produced 60 years ago. Glass panels are simply another way to present the same information except for GPS. GPS is available on your phone. Just because we all have a preference, we don't need to criticize the alternatives, especially if we have little or no experience with the alternative. That is what's wrong with this country now. Cecil Koupal was a poster here for a while who did nothing but criticize any airplane that was not his CTLSi. He was another new pilot who had never flown anything else. Now, he owns a Cirrus and criticizes everything that's not his Cirrus. I like plastic planes , you don’t like them. Let it go cause people will have their preferences and if you ever wonder why threads involving you often end in ugliness is because you won’t let it go- it is as simple as that. I like plastic airplanes. I like all airplanes. I would prefer an all metal airplane that I can keep outside. If I rented a hanger in the Atlanta area, I couldn't afford to fly my airplane. 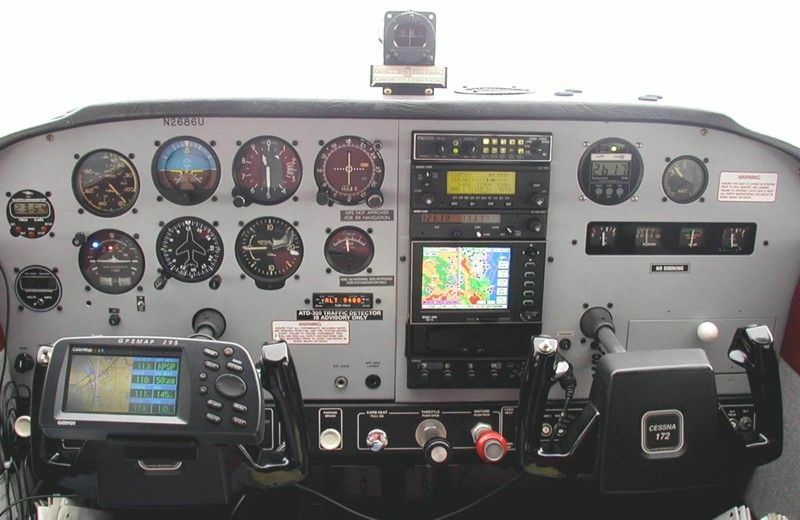 My old '63 172D is still a solid, reliable airplane that's cheap to own and operate, and I upgraded the panel and avionics stack when I owned it. The current owner, an 80 year old neighbor who is a retired UAL 747-400 captain, has lost his medical so is selling it. Now that I have BasicMed I'd buy it back from him, but I've been spoiled by the low operating cost of my Zodiac (low fuel consumption and I can do my own maintenance and condition inspections). That's a sweet little plane with a sweet little panel!